Shengjia Zhao, Hongyu Ren, Arianna Yuan, Jiaming Song, Noah Goodman, Stefano Ermon (2018). 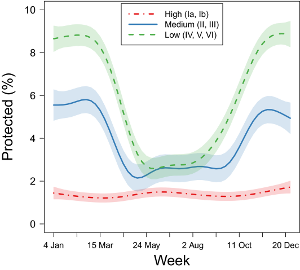 Bias and Generalization in Deep Generative Models: An Empirical Study. Advances in Neural Information Processing Systems 31 (NIPS 2018). Yang Song, Rui Shu, Nate Kushman, Stefano Ermon (2018). 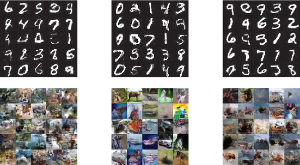 Constructing Unrestricted Adversarial Examples with Generative Models. Advances in Neural Information Processing Systems 31 (NIPS 2018). Garrett Bernstein, Daniel R. Sheldon (2018). 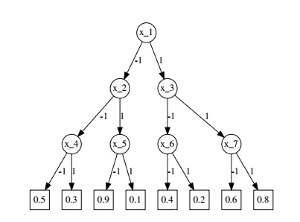 Differentially Private Bayesian Inference for Exponential Families. Advances in Neural Information Processing Systems 31 (NIPS 2018). Rico Angell, Daniel R. Sheldon (2018). 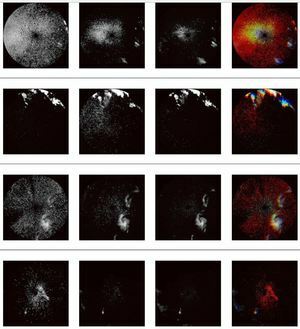 Inferring Latent Velocities from Weather Radar Data using Gaussian Processes. Advances in Neural Information Processing Systems 31 (NIPS 2018). Neal Jean, Sang Michael Xie, Stefano Ermon (2018). 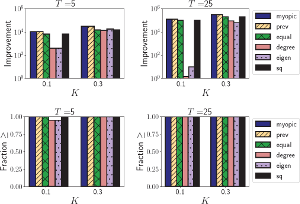 Semi-supervised Deep Kernel Learning: Regression with Unlabeled Data by Minimizing Predictive Variance. Advances in Neural Information Processing Systems 31 (NIPS 2018). Aditya Grover, Tudor Achim, Stefano Ermon (2018). Streamlining Variational Inference for Constraint Satisfaction Problems. Advances in Neural Information Processing Systems 31 (NIPS 2018). Nils Bjorck, Carla P. Gomes, Bart Selman, Kilian Q. Weinberger (2018). 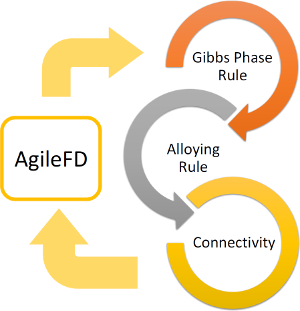 Understanding Batch Normalization. Advances in Neural Information Processing Systems 31 (NIPS 2018). D. Fink, T. Auer, A. Johnston, M. Strimas-Mackey, M. Iliff, S. Kelling (2018). 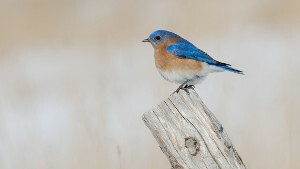 eBird Status and Trends. Cornell Lab of Ornithology. Jennifer Denno Cissé, Christopher B. Barrett (2018). Estimating development resilience: A conditional moments-based approach. Journal of Development Economics. doi: 10.1016/j.jdeveco.2018.04.002. Milind Tambe, Eric Rice (2018). 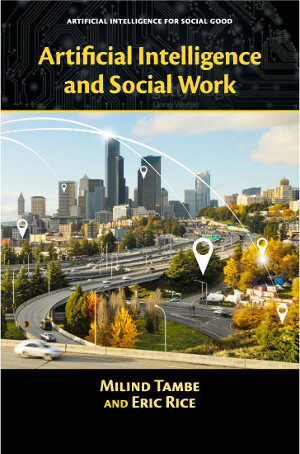 Artificial Intelligence and Social Work. Artificial Intelligence for Social Good. Heidi J. Albers, Kim Meyer Hall, Katherine D. Lee, Majid Alkaee Taleghan, Thomas G.Dietterich (2018). 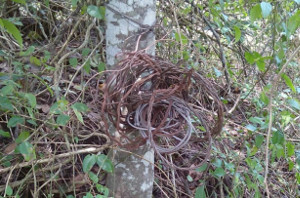 The Role of Restoration and Key Ecological Invasion Mechanisms in Optimal Spatial-Dynamic Management of Invasive Species. Ecological Economics. doi: 10.1016/j.ecolecon.2018.03.031. Guillaume Perez, Brendan Rappazzo, Carla Gomes (2018). 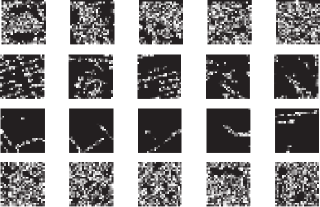 Extending the Capacity of 1 / f Noise Generation. CP 2018: Principles and Practice of Constraint Programming. doi: 10.1007/978-3-319-98334-9_39. Carmen Chilson, Katherine Avery, Amy McGovern, Eli Bridge, Daniel Sheldon, Jeffrey Kelly (2018). 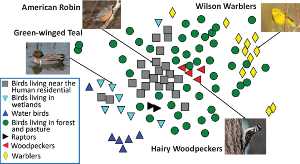 Automated detection of bird roosts using NEXRAD radar data and Convolutional neural networks. 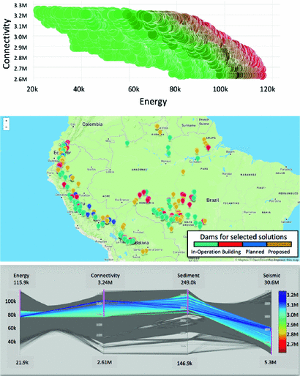 Remote Sensing in Ecology and Conservation. doi: 10.1002/rse2.92. Saksham Agarwal, Shijin Rajakrishnan, Akshay Narayan, Rachit Agarwal, David Shmoys, Amin Vahdat (2018). 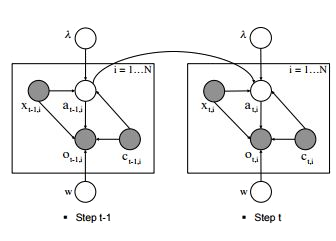 Sincronia: near-optimal network design for coflows. Proceedings of the 2018 Conference of the ACM Special Interest Group on Data Communication (SIGCOMM '18). doi: 10.1145/3230543.3230569. Barak Oshri, Annie Hu, Peter Adelson, Xiao Chen, Pascaline Dupas, Jeremy Weinstein, ... Stefano Ermon (2018). 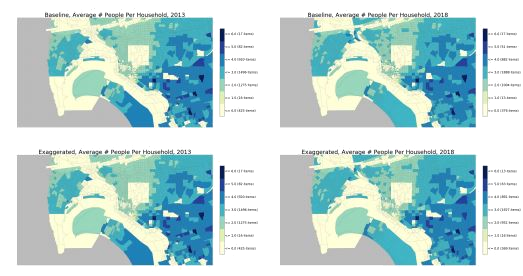 Infrastructure Quality Assessment in Africa using Satellite Imagery and Deep Learning. 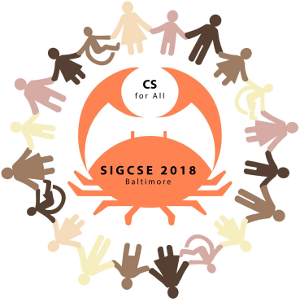 Proceedings of the 24th ACM SIGKDD International Conference on Knowledge Discovery & Data Mining (KDD '18). doi: 10.1145/3219819.3219924. Daniel Sheldon, Kevin Winner, Debora Sujono (2018). Learning in Integer Latent Variable Models with Nested Automatic Differentiation. Proceedings of the 35th International Conference on Machine Learning (PMLR). Di Chen, Yexiang Xue, Carla Gomes (2018). 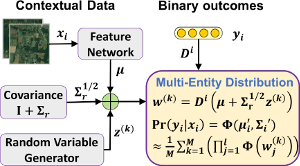 End-to-End Learning for the Deep Multivariate Probit Model. Proceedings of the 35th International Conference on Machine Learning (PMLR). Yang Song, Jiaming Song, Stefano Ermon (2018). 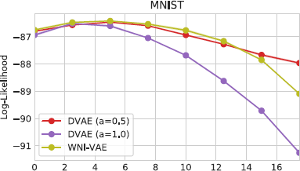 Accelerating Natural Gradient with Higher-Order Invariance. Proceedings of the 35th International Conference on Machine Learning (PMLR). Manik Dhar, Aditya Grover, Stefano Ermon (2018). 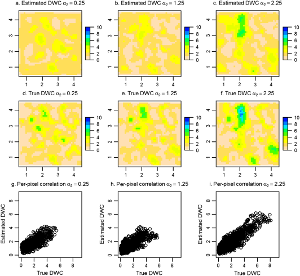 Modeling Sparse Deviations for Compressed Sensing using Generative Models. Proceedings of the 35th International Conference on Machine Learning (PMLR). Volodymyr Kuleshov, Nathan Fenner, Stefano Ermon (2018). 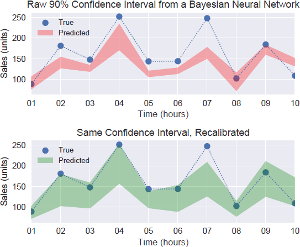 Accurate Uncertainties for Deep Learning Using Calibrated Regression. Proceedings of the 35th International Conference on Machine Learning (PMLR). Bryan Wilder, Han Ching Ou, Kayla de la Haye, Milind Tambe (2018). Optimizing Network Structure for Preventative Health. Proceedings of the 17th International Conference on Autonomous Agents and MultiAgent Systems. Shahrzad Gholami, Sara Mc Carthy, Bistra Dilkina, Andrew Plumptre, Milind Tambe, Margaret Driciru, ... Eric Enyel (2018). Adversary Models Account for Imperfect Crime Data: Forecasting and Planning against Real-world Poachers. Proceedings of the 17th International Conference on Autonomous Agents and MultiAgent Systems. Natalie M. Mahowald, Douglas S. Hamilton, Katherine R. M. Mackey, J. Keith Moore, Alex R. Baker, Rachel A. Scanza, Yan Zhang (2018). Aerosol trace metal leaching and impacts on marine microorganisms. 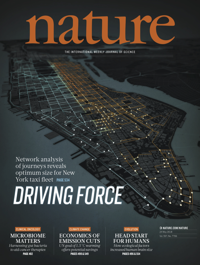 Nature Communications. doi: 10.1038/s41467-018-04970-7. Nicole, Sintov, Viviane Seyranian, Milind Tambe (2018). 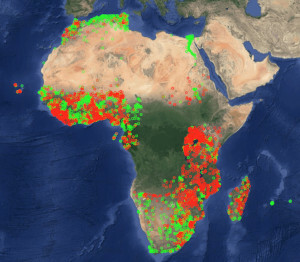 Adoption of Conservation Technologies. 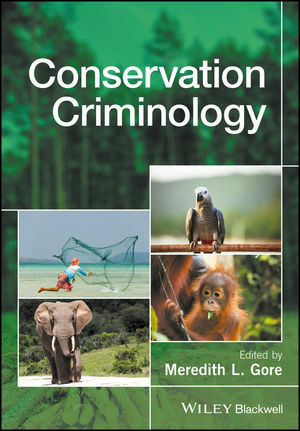 Wildlife Crime: From Theory to Practice. Jonathan M. Gomes-Selman, Qinru Shi, Yexiang Xue, Roosevelt García-Villacorta, Alexander S. Flecker, Carla P. Gomes (2018). 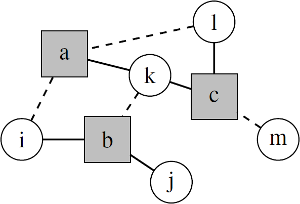 Boosting Efficiency for Computing the Pareto Frontier on Tree Structured Networks. CPAIOR 2018: Integration of Constraint Programming, Artificial Intelligence, and Operations Research. doi: 10.1007/978-3-319-93031-2_19. Junwen Bai, Sebastian Ament, Guillaume Perez, John Gregoire, Carla Gomes (2018). 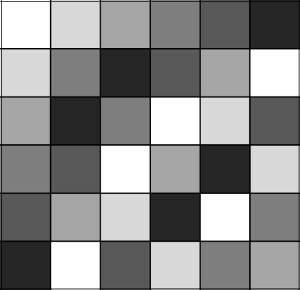 An Efficient Relaxed Projection Method for Constrained Non-negative Matrix Factorization with Application to the Phase-Mapping Problem in Materials Science. CPAIOR 2018: Integration of Constraint Programming, Artificial Intelligence, and Operations Research. doi: 10.1007/978-3-319-93031-2_4. 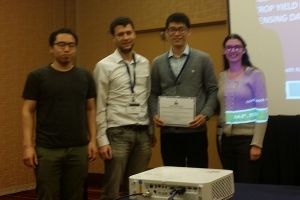 Huaiyang Zhong, Xiaocheng Li, David Lobell, Stefano Ermon, Margaret L. Brandeau (2018). 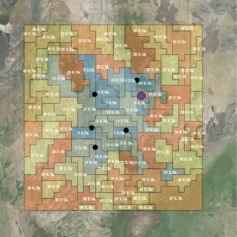 Hierarchical modeling of seed variety yields and decision making for future planting plans. 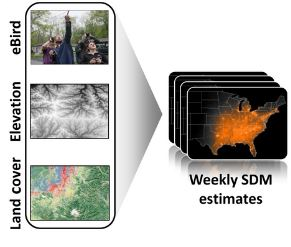 Environment Systems and Decisions. doi: 10.1007/s10669-018-9695-4. Kim Meyer Hall, Heidi J. Albers, Majid Alkaee Taleghan, Thomas G. Dietterich (2018). 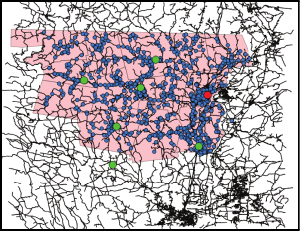 Optimal Spatial-Dynamic Management of Stochastic Species Invasions. Environmental and Resource Economics. doi: 10.1007/s10640-017-0127-6. Frank A. La Sorte, Daniel Fink, Alison Johnston (2018). 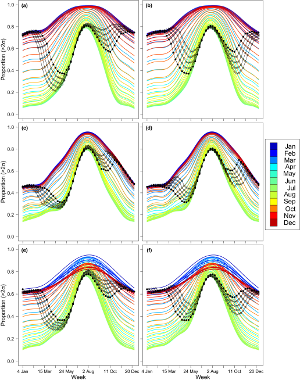 Seasonal associations with novel climates for North American migratory bird populations. Ecology Letters. doi: 10.1111/ele.12951. C. H. Fleming, D. Sheldon, W. F. Fagan, P. Leimgruber, T. Mueller, D. Nandintsetseg, ... J. M. Calabrese (2018). 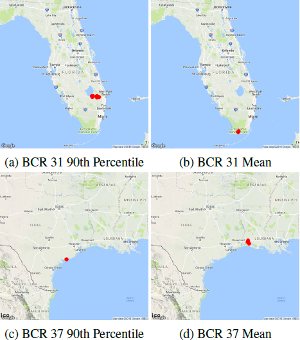 Correcting for missing and irregular data in home-range estimation. Ecological Applications. doi: 10.1002/eap.1704. C. Ponce, D. S. Bindel, P. S. Vassilevski (2018). 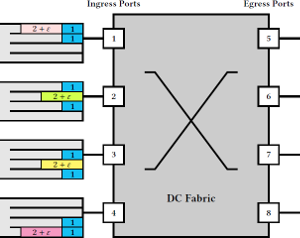 A Nonlinear Algebraic Multigrid Framework for the Power Flow Equations. SIAM Journal on Scientific Computing. doi: 10.1137/16M1109965. M. M. Vazifeh, P. Santi, G. Resta, S. H. Strogatz, C. Ratti (2018). Addressing the minimum fleet problem in on-demand urban mobility. Nature. doi: 10.1038/s41586-018-0095-1. Mary Lou Zeeman, Katherine Meyer, Erika Bussmann, Alanna Hoyer‐Leitzel, Sarah Iams, Ian J. Klasky, ... Stephen Ligtenberg (2018). 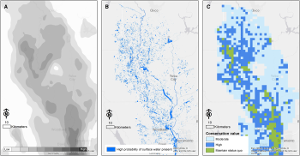 Resilience of socially valued properties of natural systems to repeated disturbance: A framework to support value-laden management decisions. Natural Resource Modeling. doi: 10.1111/nrm.12170. Kevin Winner, Michael J. Noonan, Christen H. Fleming, Kirk A. Olson, Thomas Mueller, Daniel Sheldon, Justin M. Calabrese (2018). 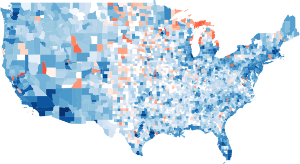 Statistical inference for home range overlap. Methods in Ecology and Evolution. doi: 10.1111/2041-210X.13027. Kyle G. Horton, Benjamin M. Van Doren, Frank A. La Sorte, Daniel Fink, Daniel Sheldon, Andrew Farnsworth, Jeffrey F. Kelly (2018). 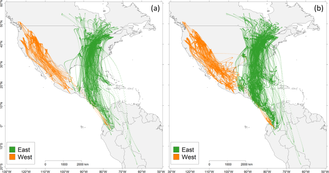 Navigating north: how body mass and winds shape avian flight behaviours across a North American migratory flyway. Ecology Letters. doi: 10.1111/ele.12971. Joseph Durante, Raj Patel, Warren B. Powell (2018). 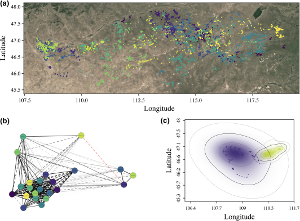 Scenario Generation Methods that Replicate Crossing Times in Spatially Distributed Stochastic Systems. 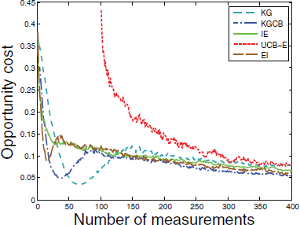 SIAM/ASA Journal on Uncertainty Quantification. doi: 10.1137/17M1120555. Bolong Cheng, Warren B. Powell (2018). Co-Optimizing Battery Storage for the Frequency Regulation and Energy Arbitrage Using Multi-Scale Dynamic Programming. IEEE Transactions on Smart Grid. doi: 10.1109/TSG.2016.2605141. Javad Khazaei, Warren B. Powell (2018). 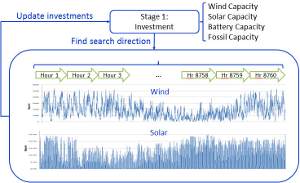 SMART-Invest: a stochastic, dynamic planning for optimizing investments in wind, solar, and storage in the presence of fossil fuels. 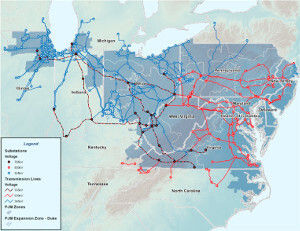 The case of the PJM electricity market. Energy Systems. doi: 10.1007/s12667-016-0226-4. P. van den Driessche, Abdul-Aziz Yakubu (2018). 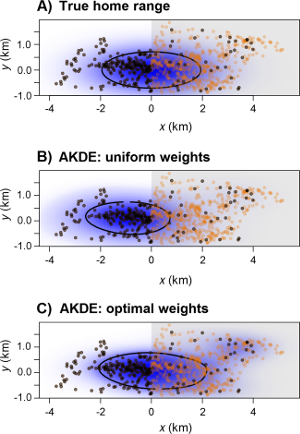 Disease Extinction Versus Persistence in Discrete-Time Epidemic Models. Bulletin of Mathematical Biology. doi: 10.1007/s11538-018-0426-2. Jon M. Conrad, Linda Nøstbakken (2018). Innovation and site quality: Implications for the timing of investments in renewable energy. Energy. doi: 10.1016/j.energy.2018.01.166. Orin J. Robinson, Viviana Ruiz-Gutierrez, Daniel Fink (2018). 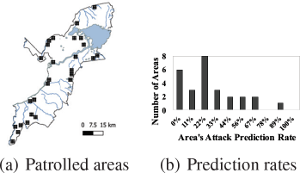 Correcting for bias in distribution modelling for rare species using citizen science data. Diversity and Distributions. doi: 10.1111/ddi.12698. Soroush Alamdari, David Shmoys (2018). 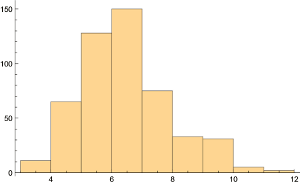 A Bicriteria Approximation Algorithm for the k-Center and k-Median Problems. Approximation and Online Algorithms (WAOA 2017). doi: 10.1007/978-3-319-89441-6_6. Yingfei Wang, Warren B. Powell (2018). 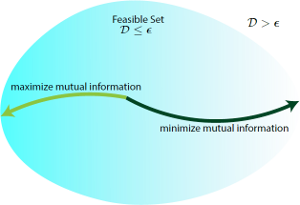 Finite-Time Analysis for the Knowledge-Gradient Policy. SIAM Journal on Control and Optimization. doi: 10.1137/16M1073388. Junwen Bai, Yexiang Xue, Johan Bjorck, Ronan Le Bras, Brendan Rappazzo, Richard Bernstein, ... Carla P. Gomes (2018). 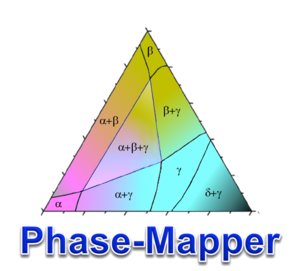 Phase Mapper: Accelerating Materials Discovery with AI. 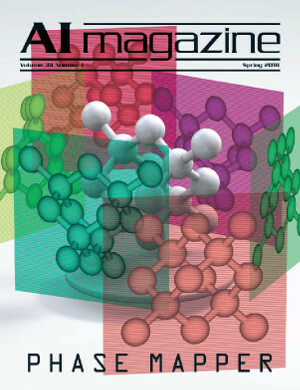 AI Magazine. 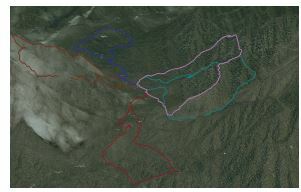 doi: 10.1609/aimag.v39i1.2785. Hongyu Ren, Russell Stewart, Jiaming Song, Volodymyr Kuleshov, Stefano Ermon (2018). Learning with Weak Supervision from Physics and Data-Driven Constraints. AI Magazine. doi: 10.1609/aimag.v39i1.2776. Tsvetan Asamov, Warren B. Powell (2018). 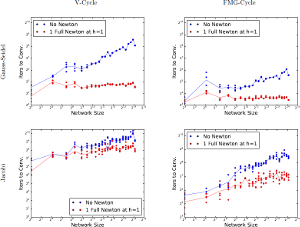 Regularized Decomposition of High-Dimensional Multistage Stochastic Programs with Markov Uncertainty. SIAM Journal on Optimization. doi: 10.1137/16M1072231. Elizabeth Bondi, Fei Fang, Mark Hamilton, Debarun Kar, Donnabell Dmello, Jongmoo Choi, ... Ram Nevatia (2018). 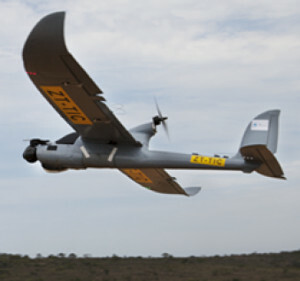 SPOT Poachers in Action: Augmenting Conservation Drones With Automatic Detection in Near Real Time. The Thirtieth AAAI Conference on Innovative Applications of Artificial Intelligence (IAAI-18). Shahrzad Gholami, Benjamin Ford, Debarun Kar, Fei Fang, Milind Tambe, Andrew Plumptre, ... Joshua Mabonga (2018). 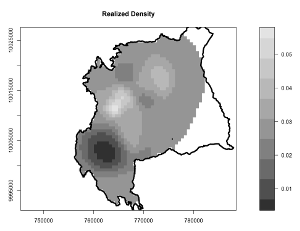 Evaluation of Predictive Models for Wildlife Poaching Activity through Controlled Field Test in Uganda. Workshops at the Thirty-Second AAAI Conference on Artificial Intelligence: Engineering Dependable and Secure Machine Learning Systems. Bryan Wilder, Sze-Chuan Suen, Milind Tambe (2018). Preventing Infectious Disease in Dynamic Populations under Uncertainty. Workshops at the Thirty-Second AAAI Conference on Artificial Intelligence: Health Intelligence. J. F. Ruiz-Muñoz, Zeyu You, Raviv Raich, Xiaoli Z. Fern (2018). 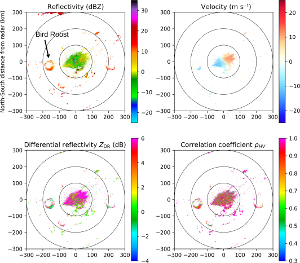 Dictionary Learning for Bioacoustics Monitoring with Applications to Species Classification. 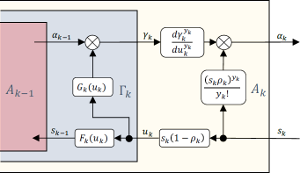 Journal of Signal Processing Systems. doi: 10.1007/s11265-016-1155-0. Jon M. Conrad (2018). Real Options for Endangered Species. 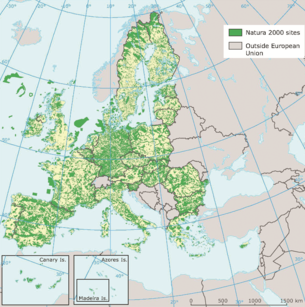 Ecological Economics. doi: 10.1016/j.ecolecon.2017.07.027. Joleah B. Lamb, Bette L. Willis, Evan A. Fiorenza, Courtney S. Couch, Robert Howard, Douglas N. Rader, ... C. Drew Harvell (2018). 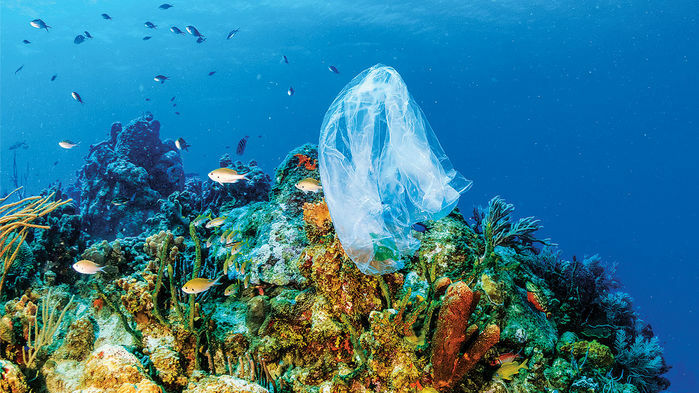 Plastic waste associated with disease on coral reefs. Science. doi: 10.1126/science.aar3320. Is plastic trash making coral reefs sick? Maureen A. O'Leary, Kenzley Alphonse, Arce H. Mariangeles, Dario Cavaliere, Andrea Cirranello, Thomas G. Dietterich, ... Marymegan Daly (2018). Crowds Replicate Performance of Scientific Experts Scoring Phylogenetic Matrices of Phenotypes. Systematic Biology. doi: 10.1093/sysbio/syx052. 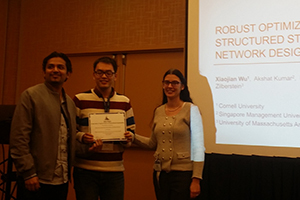 Caleb Robinson, Bistra Dilkina, Jeffrey Hubbs, Wenwen Zhang, Subhrajit Guhathakurta, Marilyn A. Brown, Ram M. Pendyala (2017). 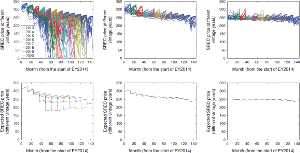 Machine learning approaches for estimating commercial building energy consumption. Applied Energy. doi: 10.1016/j.apenergy.2017.09.060. Carla Gomes (2017). Keynotes: Computational sustainability. 2017 Sustainable Internet and ICT for Sustainability (SustainIT). doi: 10.23919/SustainIT.2017.8379790. Tao Sun, Dan Sheldon, Brendan O'Connor (2017). 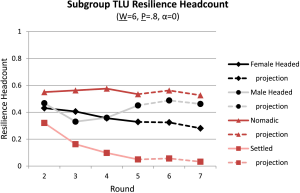 A Probabilistic Approach for Learning with Label Proportions Applied to the US Presidential Election. 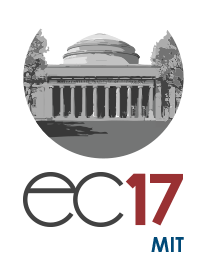 2017 IEEE International Conference on Data Mining (ICDM). doi: 10.1109/ICDM.2017.54. Daniel F. Salas, Warren B. Powell (2017). 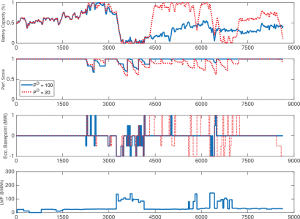 Benchmarking a Scalable Approximate Dynamic Programming Algorithm for Stochastic Control of Grid-Level Energy Storage. INFORMS Journal on Computing. doi: 10.1287/ijoc.2017.0768. Javad Khazaei, Michael Coulon, Warren B. Powell (2017). ADAPT: A Price-Stabilizing Compliance Policy for Renewable Energy Certificates: The Case of SREC Markets. Operations Research. doi: 10.1287/opre.2017.1641. Daniel R. Jiang, Warren B. Powell (2017). 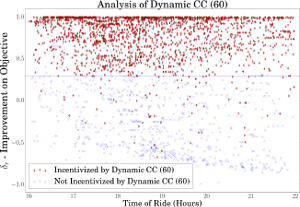 Risk-Averse Approximate Dynamic Programming with Quantile-Based Risk Measures. Mathematics of Operations Research. doi: 10.1287/moor.2017.0872. Christopher J. Lauer, Claire A.Montgomery, Thomas G.Dietterich (2017). Spatial interactions and optimal forest management on a fire-threatened landscape. 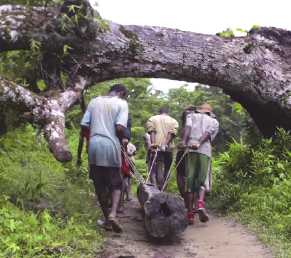 Forest Policy and Economics. doi: 10.1016/j.forpol.2017.07.006. Venu M. Garikapati, Daehyun You, Wenwen Zhang, Ram M. Pendyala, Subhrajit Guhathakurta, Marilyn A. Brown, Bistra Dilkina (2017). 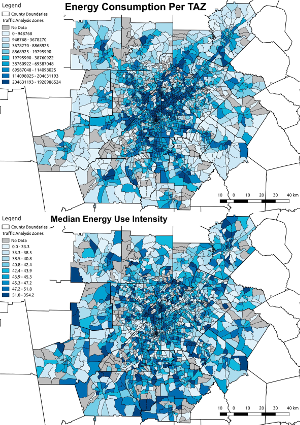 Estimating Household Travel Energy Consumption in Conjunction with a Travel Demand Forecasting Model. 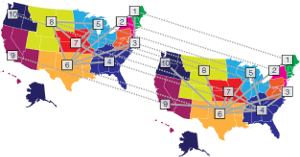 Transportation Research Record: Journal of the Transportation Research Board. doi: 10.3141/2668-01. Mark D. Reynolds, Brian L. Sullivan, Eric Hallstein, Sandra Matsumoto, Steve Kelling, Matthew Merrifield, ... Scott A. Morrison (2017). Dynamic conservation for migratory species. Science Advances. doi: 10.1126/sciadv.1700707. Neal Jean, Chi-Sing Ho, Amr Saleh, Niaz Banaei, Jennifer Dionne, Stefano Ermon (2017). Enabling rapid screening of bacterial blood infections with machine learning. 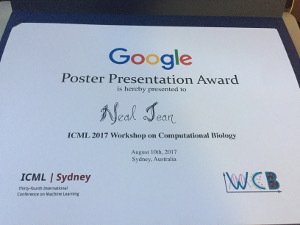 ICML 2017 Workshop on Computational Biology. 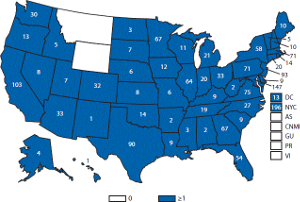 North American Bird Conservation Initiative, U.S. Committee (2017). 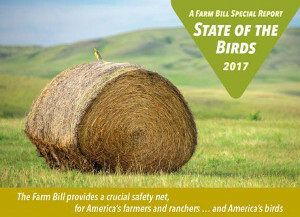 The State of the Birds 2017: A Farm Bill Special Report. Nathaniel D. Jensen, Russell Dean Toth, Yexiang Xue, Rich Bernstein, Eddy K. Chebelyon, Andrew G. Mude, ... Carla Gomes (2017). 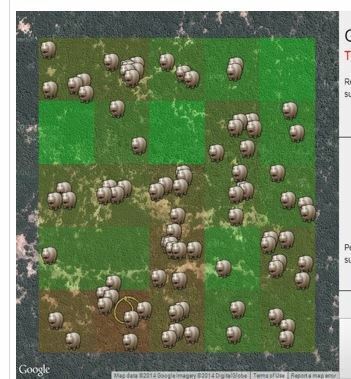 Don't Follow the Crowd: Incentives for Directed Spatial Sampling. Agricultural & Applied Economics Association (AAEA). Alison Johnston, Daniel Fink, Wesley M. Hochachka, Steve Kelling (2017). Estimates of observer expertise improve species distributions from citizen science data. Methods in Ecology and Evolution. doi: 10.1111/2041-210X.12838. Frank A. La Sorte, Daniel Fink, Peter J. Blancher, Amanda D. Rodewald, Viviana Ruiz-Gutierrez, Kenneth V. Rosenberg, ... Steve Kelling (2017). 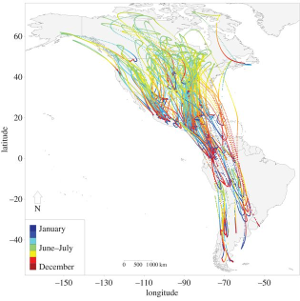 Global change and the distributional dynamics of migratory bird populations wintering in Central America. Global Change Biology. doi: 10.1111/gcb.13794. Bertrand Ottino-Löffler, Jacob G. Scott, Steven H. Strogatz (2017). 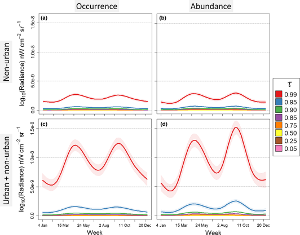 Takeover times for a simple model of network infection. Physical Review E. doi: 10.1103/PhysRevE.96.012313. Frank A. La Sorte, Daniel Fink, Jeffrey J. Buler, Andrew Farnsworth, Sergio A. Cabrera-Cruz (2017). 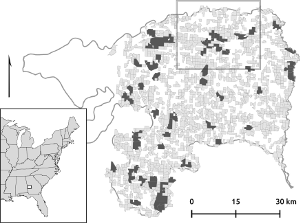 Seasonal associations with urban light pollution for nocturnally migrating bird populations. Global Change Biology. doi: 10.1111/gcb.13792. Christen H. Fleming, Daniel Sheldon, Eliezer Gurarie, William F. Fagan, Scott LaPoint, Justin M. Calabrese (2017). 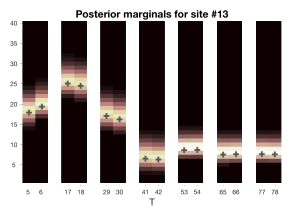 Kálmán filters for continuous-time movement models. 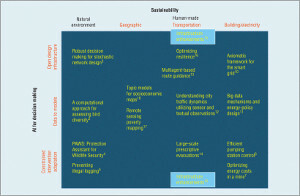 Ecological Informatics. doi: 10.1016/j.ecoinf.2017.04.008. Santiago Molina, Angela K. Fuller, Dana J. Morin, J. Andrew Royle (2017). 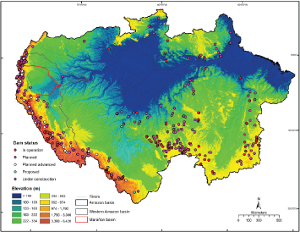 Use of spatial capture-recapture to estimate density of Andean bears in northern Ecuador. 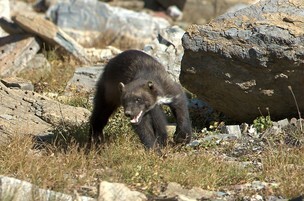 Ursus. doi: 10.2192/URSU-D-16-00030.1. Daniel Freund, Shane G. Henderson, David B. Shmoys (2017). 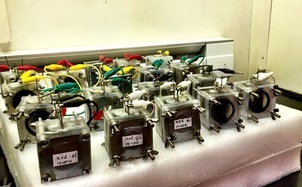 Minimizing Multimodular Functions and Allocating Capacity in Bike-Sharing Systems. 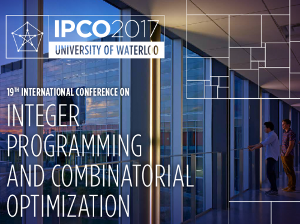 Integer Programming and Combinatorial Optimization (IPCO 2017). doi: 10.1007/978-3-319-59250-3_16. Bolong Cheng, Tsvetan Asamov, Warren B. Powell (2017). 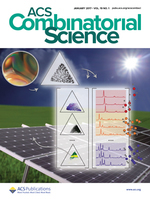 Low-Rank Value Function Approximation for Co-optimization of Battery Storage. IEEE Transactions on Smart Grid. doi: 10.1109/TSG.2017.2716382. 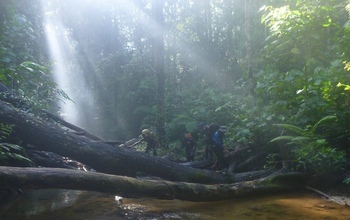 Junwen Bai, Johan Bjorck, Yexiang Xue, Santosh K. Suram, John Gregoire, Carla Gomes (2017). 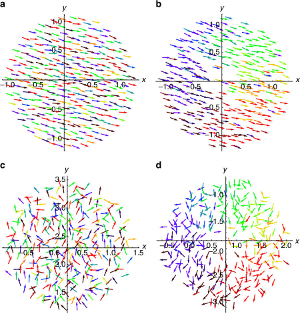 Relaxation Methods for Constrained Matrix Factorization Problems: Solving the Phase Mapping Problem in Materials Discovery. Fourteenth International Conference on Integration of Artificial Intelligence and Operations Research Techniques in Constraint Programming (CPAIOR). doi: 10.1007/978-3-319-59776-8_9. Mateo Diaz, Ronan Le Bras, Carla Gomes (2017). 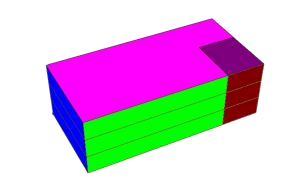 In Search of Balance: The Challenge of Generating Balanced Latin Rectangles. Fourteenth International Conference on Integration of Artificial Intelligence and Operations Research Techniques in Constraint Programming (CPAIOR). doi: 10.1007/978-3-319-59776-8_6. Tianshu Liu, Nichole Nadermann, Zhenping He, Steven H. Strogatz, Chung-Yuen Hui, Anand Jagota (2017). 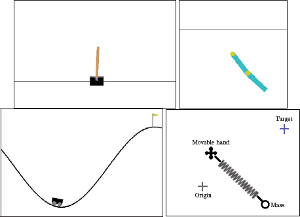 Spontaneous Droplet Motion on a Periodically Compliant Substrate. Langmuir. 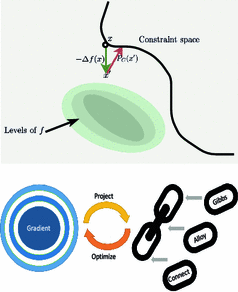 doi: 10.1021/acs.langmuir.7b01414. Maurice Cheung, Julián Mestre, David B. Shmoys, José Verschae (2017). 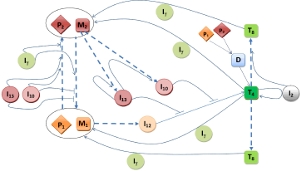 A Primal-Dual Approximation Algorithm for Min-Sum Single-Machine Scheduling Problems. SIAM Journal on Discrete Mathematics. doi: 10.1137/16M1086819. Nahid Jafari, Bryan L. Nuse, Clinton T. Moore, Bistra Dilkina, Jeffrey Hepinstall-Cymerman (2017). 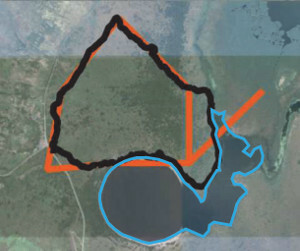 Achieving full connectivity of sites in the multiperiod reserve network design problem. Computers & Operations Research. doi: 10.1016/j.cor.2016.12.017. Moussa Doumbia, Abdul-Aziz Yakubu (2017). 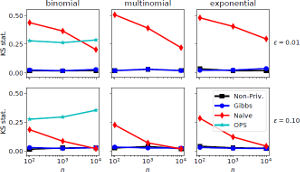 Malaria incidence and anopheles mosquito density in irrigated and adjacent non-irrigated villages of Niono in Mali. 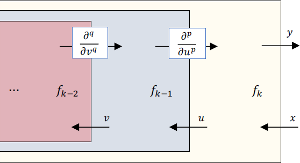 Discrete and Continuous Dynamical Systems - Series B (DCDS-B). doi: 10.3934/dcdsb.2017042. Somayeh Moazeni, Warren B. Powell, Boris Defourny, Belgacem Bouzaiene-Ayari (2017). Parallel Nonstationary Direct Policy Search for Risk-Averse Stochastic Optimization. INFORMS Journal on Computing. doi: 10.1287/ijoc.2016.0733. C. L. Archer, H. P. Simão, W. Kempton, W. B. Powell, M. J. Dvorak (2017). The challenge of integrating offshore wind power in the U.S. electric grid. 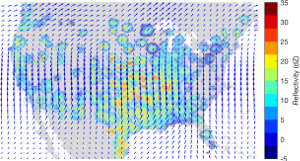 Part I: Wind forecast error. Renewable Energy. doi: 10.1016/j.renene.2016.11.047. H. P. Simão, W. B. Powell, C. L. Archer, W. Kempton (2017). 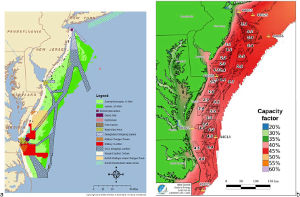 The challenge of integrating offshore wind power in the U.S. electric grid. 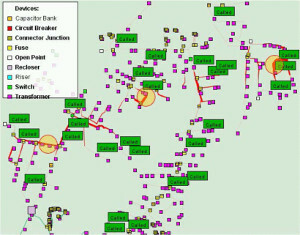 Part II: Simulation of electricity market operations. Renewable Energy. doi: 10.1016/j.renene.2016.11.049. Douglas H. Fisher (2017). Establishing Conventions for Citing Educational Materials. 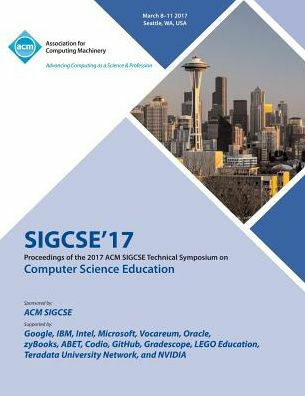 Proceedings of the 2017 ACM SIGCSE Technical Symposium on Computer Science Education (SIGCSE '17). doi: 10.1145/3017680.3022396. Revathy Narasimhan, Xiaoli Z. Fern, Raviv Raich (2017). 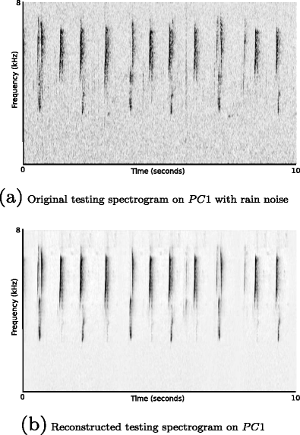 Simultaneous segmentation and classification of bird song using CNN. 2017 IEEE International Conference on Acoustics, Speech and Signal Processing (ICASSP). doi: 10.1109/ICASSP.2017.7952135. Lina Al-Kanj, Belgacem Bouzaiene-Ayari, Warren B. Powell (2017). 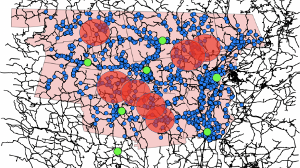 A Probability Model for Grid Faults Using Incomplete Information. IEEE Transactions on Smart Grid. doi: 10.1109/TSG.2015.2447275. Joleah B. Lamb, Jeroen A. J. M. van de Water, David G. Bourne, Craig Altier, Margaux Y. Hein, Evan A. Fiorenza, ... C. Drew Harvell (2017). 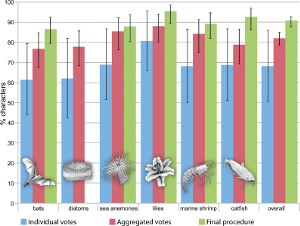 Seagrass ecosystems reduce exposure to bacterial pathogens of humans, fishes, and invertebrates. Science. doi: 10.1126/science.aal1956. Douglas H. Fisher (2017). A Selected Summary of AI for Computational Sustainability. AAAI-17 Senior Member Summary Talks. Bassidy Dembele, Abdul-Aziz Yakubu (2017). 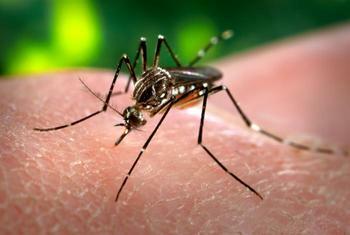 Controlling imported malaria cases in the United States of America. Mathematical Biosciences and Engineering (MBE). doi: 10.3934/mbe.2017007. Frank A. La Sorte, Daniel Fink (2017). 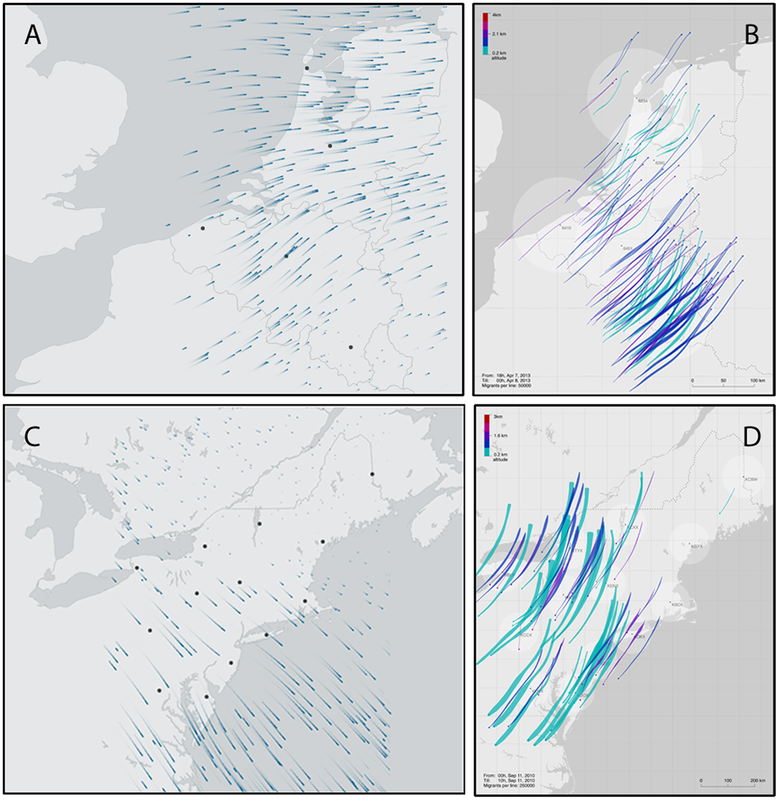 Projected changes in prevailing winds for transatlantic migratory birds under global warming. Journal of Animal Ecology. doi: 10.1111/1365-2656.12624. Natalie M. Mahowald, James T. Randerson, Keith Lindsay, Ernesto Munoz, Scott C. Doney, Peter Lawrence, ... Forrest M. Hoffman (2017). 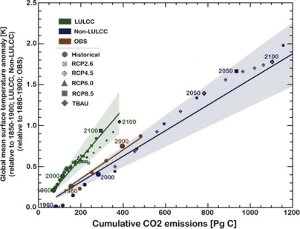 Interactions between land use change and carbon cycle feedbacks. 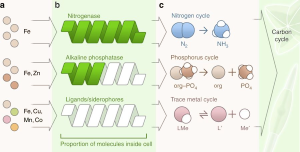 Global Biochemical Cycles. doi: 10.1002/2016GB005374. Nourridine Siewe, Abdul-Aziz Yakubu, Abhay R Satoskar, Avner Friedman (2017). 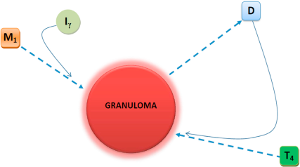 Granuloma formation in leishmaniasis: A mathematical model. Journal of Theoretical Biology. doi: 10.1016/j.jtbi.2016.10.004. Chadi Saad-Roy, P. van den Driessche, Abdul-Aziz Yakubu (2016). 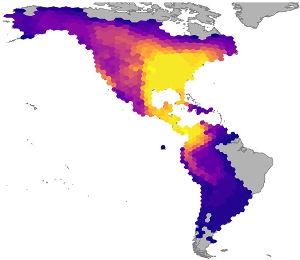 A Mathematical Model of Anthrax Transmission in Animal Populations. Bulletin of Mathematical Biology. doi: 10.1007/s11538-016-0238-1. Nanjing Jian, Daniel Freund, Holly M. Wiberg, Shane G. Henderson (2016). 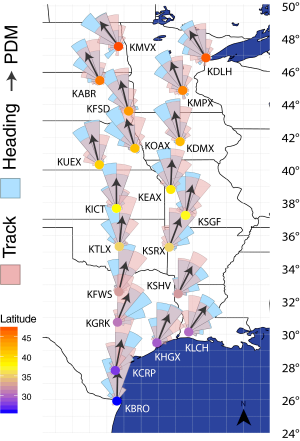 Simulation optimization for a large-scale bike-sharing system. Proceedings of the 2016 Winter Simulation Conference. doi: 10.1109/WSC.2016.7822125. Ajitesh Jain, David Robinson, Bistra Dilkina, Richard Fujimoto (2016). 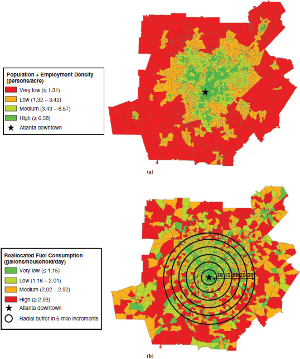 An approach to integrate inter-dependent simulations using HLA with applications to sustainable urban development. Proceedings of the 2016 Winter Simulation Conference. doi: 10.1109/WSC.2016.7822178. Frank A. La Sorte, Daniel Fink (2016). 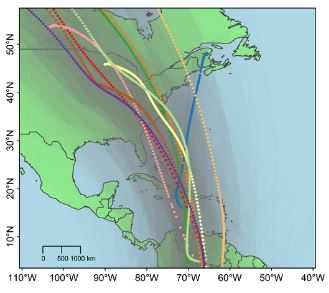 Migration distance, ecological barriers and en-route variation in the migratory behaviour of terrestrial bird populations. 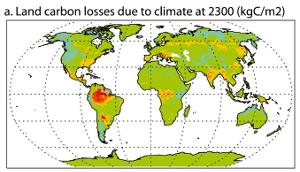 Global Ecology and Biogeography. doi: 10.1111/geb.12534. Douglas H. Fisher, Zimei Bian, Selina Chen (2016). 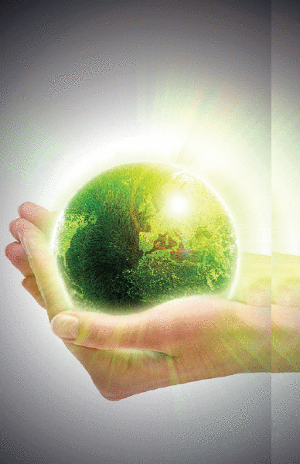 Incorporating Sustainability into Computing Education. IEEE Intelligent Systems. doi: 10.1109/MIS.2016.76. Bistra Dilkina, Rachel Houtman, Carla P. Gomes, Claire A. Montgomery, Kevin S. McKelvey, Katherine Kendall, ... Michael K. Schwartz (2016). 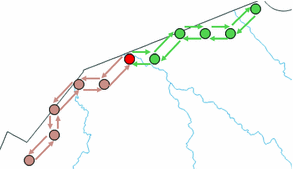 Trade-offs and efficiencies in optimal budget-constrained multispecies corridor networks. Conservation Biology. doi: 10.1111/cobi.12814. Neal Jean, Marshall Burke, Michael Xie, W. Matthew Davis, David B. Lobell, Stefano Ermon (2016). 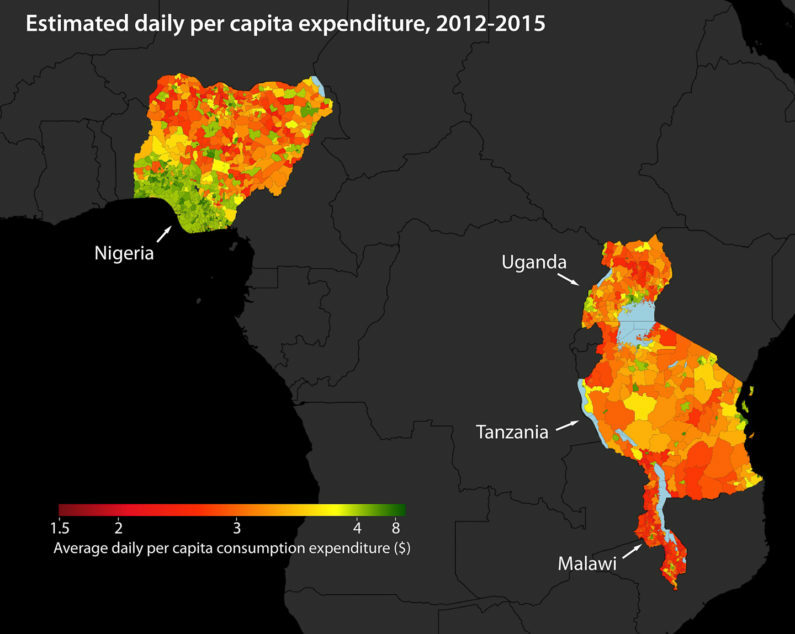 Combining satellite imagery and machine learning to predict poverty. Science. doi: 10.1126/science.aaf7894. Jocelyn L. Aycrigg, Craig Groves, Jodi A. Hilty, J. Michael Scott, Paul Beier, D. A. Boyce Jr., ... Rand Wentworth (2016). 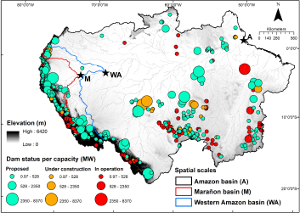 Completing the System: Opportunities and Challenges for a National Habitat Conservation System. Bioscience. 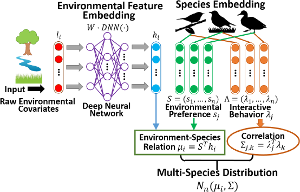 doi: 10.1093/biosci/biw090. Siamak Safarzadegan Gilan, Naman Goyal, Bistra Dilkina (2016). 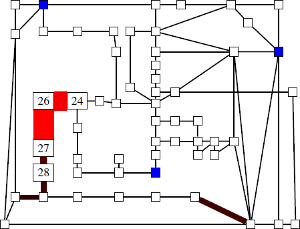 Active Learning in Multi-objective Evolutionary Algorithms for Sustainable Building Design. GECCO '16 Proceedings of the Genetic and Evolutionary Computation Conference 2016. doi: 10.1145/2908812.2908947. Douglas H. Fisher (2016). 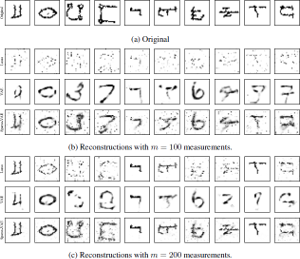 Recent Advances in AI for Computational Sustainability. IEEE Intelligent Systems. doi: 10.1109/MIS.2016.61. Nourridine Siewe, Abdul-Aziz Yakubu, Abhay R Satoskar, Avner Friedman (2016). 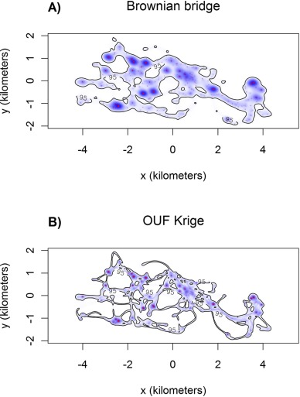 Immune response to infection by Leishmania: A mathematical model. Mathematical Biosciences. doi: 10.1016/j.mbs.2016.02.015. Benjamin Zuckerberg, Daniel Fink, Frank A. La Sorte, Wesley M. Hochachka, Steve Kelling (2016). 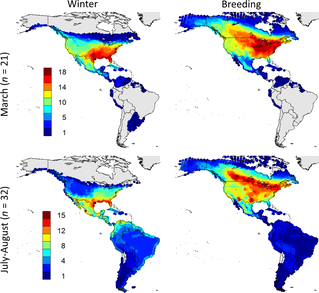 Novel seasonal land cover associations for eastern North American forest birds identified through dynamic species distribution modelling. Diversity and Distributions. doi: 10.1111/ddi.12428. North American Bird Conservation Initiative (2016). 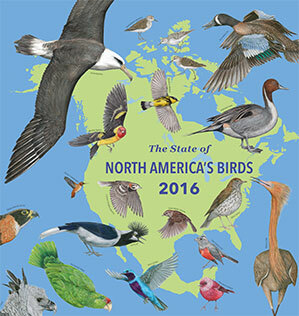 The State of North America's Birds 2016. Andrew Farnsworth, Benjamin M. Van Doren, Wesley M. Hochachka, Daniel Sheldon, Kevin Winner, Jed Irvine, ... Steve Kelling (2016). 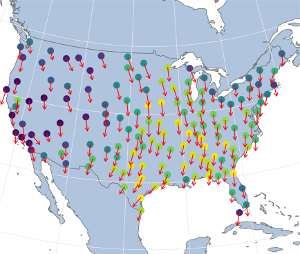 A characterization of autumn nocturnal migration detected by weather surveillance radars in the northeastern USA. Ecological Applications. doi: 10.1890/15-0023.